Authorized iPhone repairs were only allowed to be carried at Apple’s official retail stores, with the company making it increasingly difficult for third-party resellers to carry out the procedure themselves. 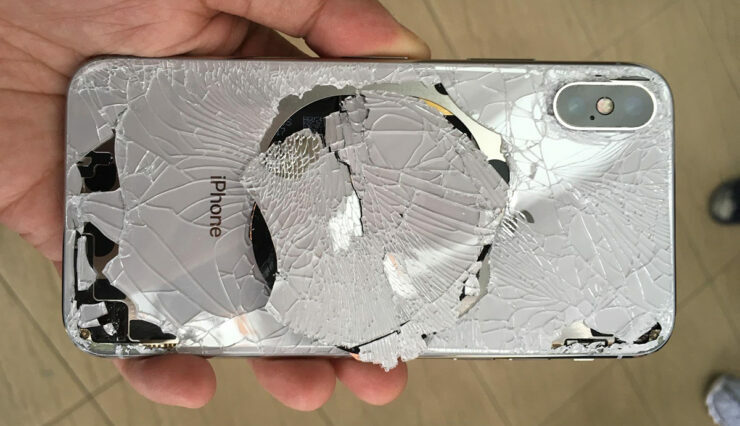 This would involve a complex repair process, as well as prevent some features of the iPhone from functioning properly. However, sources have claimed that Apple has reached an agreement where it is said to allow a single reseller to carry out authorized iPhone repairs for now. The latest development reveals that Apple and Simply Mac, a third-party Apple reseller and service provider, have reached a deal. The deal states that the iPhone manufacturer will end up providing the necessary hardware to let Simply Mac conduct authorized screen repairs. Before the deal reportedly took place, Simply Mac possessed repair machines that carried out procedures related to Touch ID and Face ID. These were unofficial screen repairs for customers of course, and it could cause significant hardware issues down the line. Simply Mac charges the same price as Apple does when it comes to screen repairs, but for customers who simply cannot walk into an Apple retail store will see the third-party service provider as a sanctuary to get their iPhone working again. 9to5Mac reports that iPhones featuring Touch ID, which go all the way back to the release of the iPhone 5s, and the iPhone X, require special equipment to repair broken screens. This will ensure that the home button and TrueDepth module are fully functioning after replacing the LCD or OLED panel placed on the front of the device. The latest information details that Simply Mac had the necessary equipment at only five of its 50 or so stores in the U.S. The new deal will see Apple pay for equipment for 30 Simply Mac locations, but Simply Mac will cease all operations which involve conducting unofficial screen repairs. Stores that carry out unauthorized repairs are often not equipped with the proper paraphernalia to carry out iPhone repairs because of the more complex hardware such as Touch ID and TrueDepth camera. With the latest partnership, it should become a lot easier for customers that are not in close proximity to an Apple store to get an authorized repair done. Update: 9to5Mac reports that Simply Mac has been in contact with them and said that there are multiple inaccuracies in the story, but did not divulge in detail.